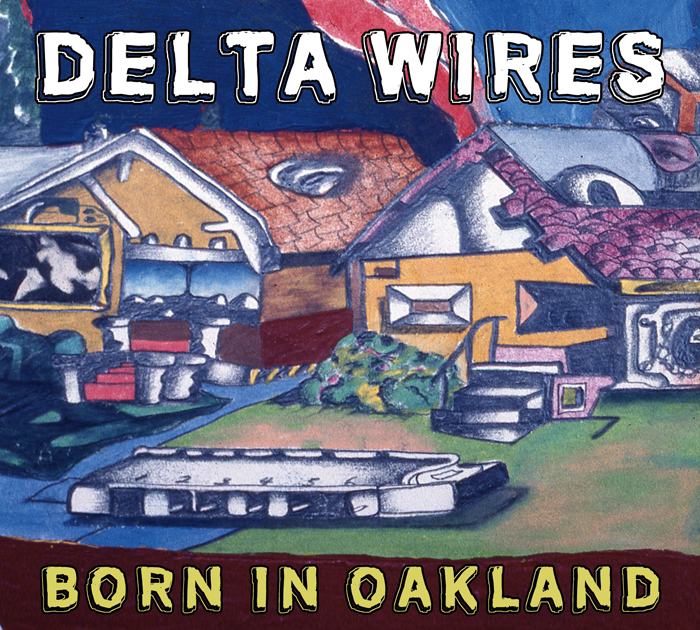 Delta Wires was truly born in Oakland. The band started as band leader Ernie Pinata’s college project demonstrating the evolution of the Blues from the cotton fields of the Mississippi Delta, to Chicago, and ultimately to the West Coast. The small band Ernie put together to play examples of this evolution, grew into the high-powered seven-piece band that now calls itself Delta Wires. “Born in Oakland”, their 7th album, demonstrates a further maturation of their West Coast Blues style influenced by the ups and downs of city life, and of life itself… Truly original, we think you will find the compositions by the band on this album to be unique and untypical of what you would expect from a “blues band”… Both high-energy and moody, with intricate horn arrangements and harmonies, the band is proud of what they have accomplished. Recorded and Mixed by Steve Johnson Jr.
Co Producer :Steve Johnson Jr.